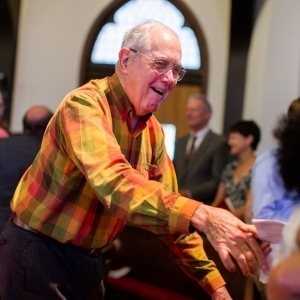 Our Welcoming Ministry does just what our name says: we welcome everyone who comes in contact with Roland Park Presbyterian Church. We promote Christian hospitality with good, old fashioned warmth and friendliness. We advocate care and understanding for all people, regardless of age, race, gender, status or sexual orientation. By welcoming others and growing in support of one another, we believe we experience and participate in God’s welcome for all of us. If you would like to be part of the Welcoming Ministry or have suggestions for us, please contact Meghan Friedman at megfman@gmail.com or 410-440-2065.